Best dog blogs aren’t difficult to find anymore. 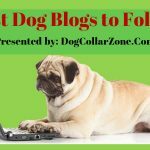 As I have compiled some of the top dog blogs to follow, you can find the right information on dog training all at once. All these blogs offer you with various facts on different aspects of pet dogs. You can be assured of getting the exact information you are looking for. Let us briefly discuss on some of these dog blogs in the following sections. Before going the other best dog blogs, you may read the following resourceful guide and reviews. Hope, the articles help you to know about dog training, dog collars, training collar, bark collar & dog shock collar. 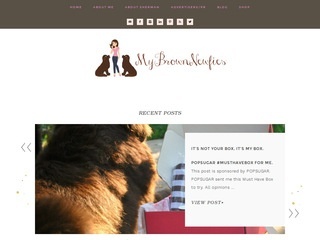 My Brown Newfies is a Lifestyle blog that talks about dog health, dog care and all things Newfies. She also shares the hilarities of living life with 2 giant breed dogs, Sherman and Leroy. It’s their world, I just live in it. Kimberly Gauthier shares her experiences as a raw feeder on her blog Keep the Tail Wagging. This blog covers the cost of raw feeding, sourcing ingredients, and understanding what each of her four dogs needs in a balanced raw diet. Raw feeding can be overwhelming at first and Kimberly makes it easier by breaking down the diet in her Quick Start Guide toRaw Feeding, which is free to subscribers. 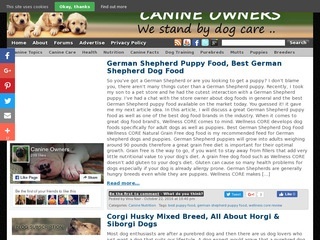 Canine Owners is a website dedicated to the love for dogs, started and maintained by dog owners. We offer dog care tips for new dog owners and experienced dog owners alike. 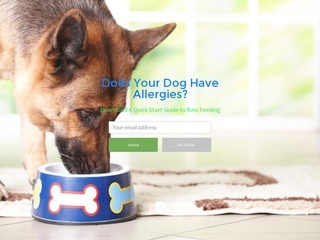 We also offer pet product reviews as well as dog food reviews on our website. We welcome you to our community and to share your pet family with the world! We Care For Dogs is a blog created by “Momma Dog”, a dog owner and advocate who wanted to promote responsible pet ownership. Her goal is to educate people how to properly take care of their dogs, and also to stop animal cruelty and negligence through her writings. She is looking forward to a future of more animal rescues or if possible, a world full of responsible pet owners where campaigns and rescues would no longer be necessary. CeliaSue Hecht is the owner of this blog. 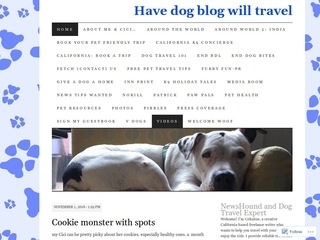 The blog addresses various issues of pet dogs when they travel. Traveling with your pet dogs can be a nightmare. But with this blog, you can turn your travel experience a pleasant one with your pet. The blog also provides valuable tips on various pet-friendly hotels and lodges where you can easily plan your travel. 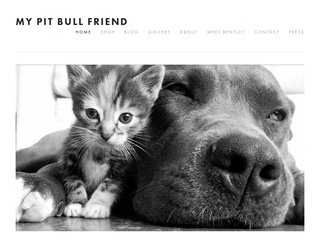 My Pit Bull Friend is a blog that is dedicated for the Pit Bull dog breeds. Laura D, who runs this blog, developed a special bonding with Pit Bulls right from her childhood days. In addition to the facts on Pit Bulls, the blog offers useful tips on dog training in general. It also provides ideas on various recipes of dog food. 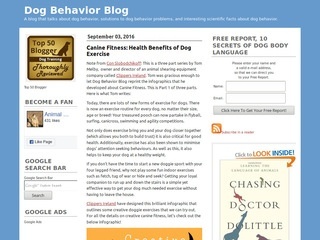 Dog Behavior Blog deals with various issues related to the dog’s behavior. 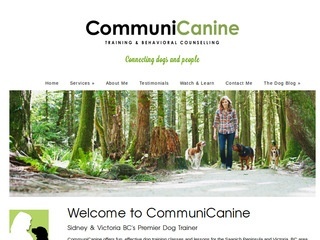 It is run by Con Slobodchikoff (President and CEO of Animal Communications Ltd) and Karen London (Applied Animal Behaviorist and Pet Dog Trainer). The blog has numerous articles on dog training, benefits of dog exercises, animal behavior course, etc. You can find many facts on with this blog. This blog deals with the understanding of dog’s nature by its body languages. The author is Darcie Jennings and she is from Sidney BC. She conducts classes in this area for dog training. Her blogs are helping the dog owners to have a better relationship with their pets. 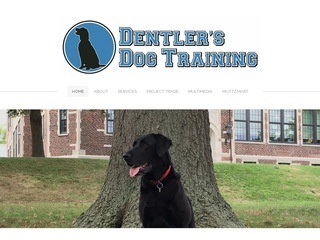 In her blog, she also posts videos for dog training lessons so that you can have a better learning experience. Jeff owns this blog and offers different training options for the pet owners. This blog comes handy even if you are a first-time pet owner. The author strongly advocates the force-free training of pet dogs through his blogs. This means that you will be trained to handle your pets without the need of choke or prong collars for your pet. 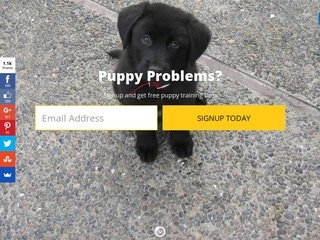 This blog primarily focuses on puppy training. Colby is the author of this blog. He himself is a puppy raiser and his experience helps him to guide the pet owners in a better way. You will get an answer for every concern regarding puppy training here. It also provides useful tips for growing your puppy in a hassle-free manner. This is the blog for the dogs and cats by JL Smith. She is an active volunteer in various animal welfare organizations. The blog addresses various aspects of pets like pet nutrition, pet care, pet rescues, behaviors, etc. The blog also provides valuable reviews on various pet products so that you can choose the right one for your pets. 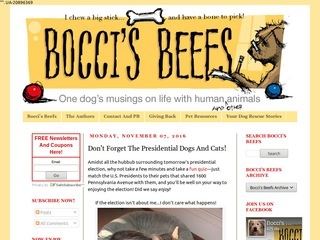 Bocci Beefs is the blog that deals with pet adoption and pet rescue. It was initiated by Joan DeMartin who is working with the Columbus College of Art and Design. The blog discusses on various topics of pets like pet food, pet health, abuses related to the pets, to name a few. You will also find many useful and vital links under the pet resources section of the blog. This is a dog blog that is managed by the couple named Amy and Rod Burkert. The blog talks about the pet-friendly trips that will make both the pet owners and the pets happy. It includes all essential aspects of travel with your pet dogs like pet-friendly hotels, pet-friendly destinations, and pet-friendly activities. 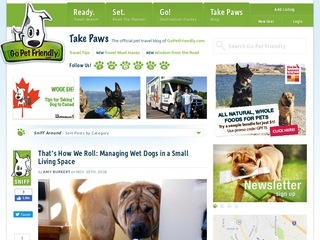 With some of the best dog blogs listed here, training your pet is no more tedious job for you. All these blogs have helped the current dog owners to tackle their pets in a better way. So if you are planning to own a dog, don’t miss to check out these dog blogs. Thanks for your comment. One of our editor contact you soon.